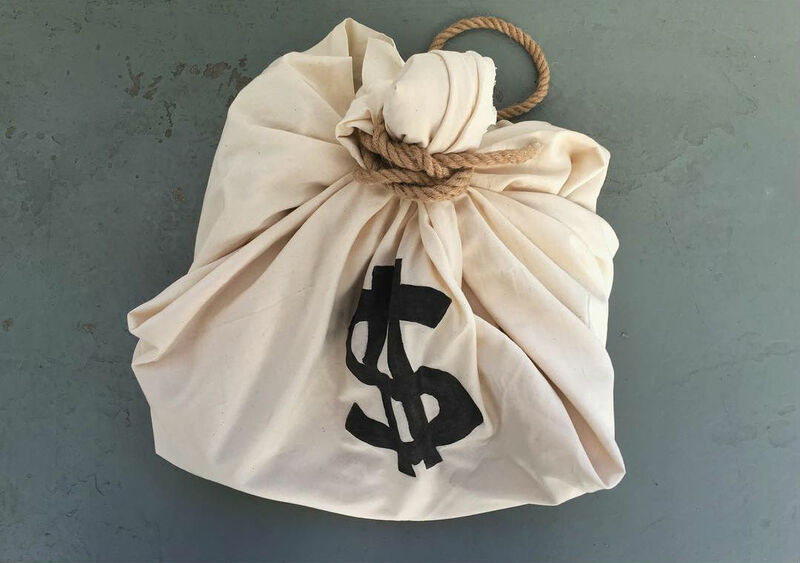 "Money Bag" cleats in an actual money bag. 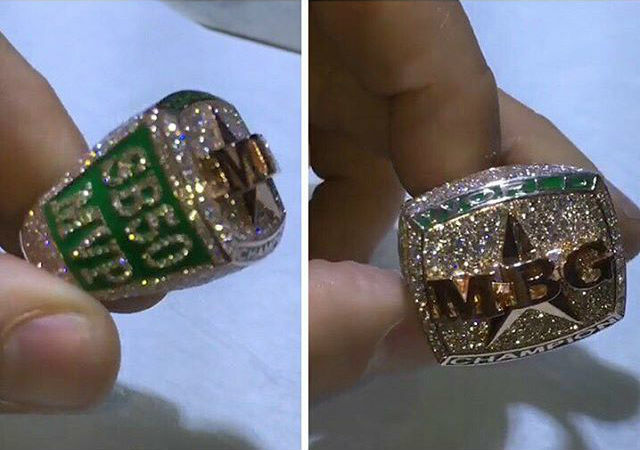 After carrying the Denver Broncos to victory in Super Bowl 50, Von Miller celebrated the biggest moment of his career by spending a reported $25,000 on a custom ring representing his group of friends, Money Bag Gang, He followed that move up by signing a 6-year, $114.5 million extension to remain with the team, living up to the name of his crew and making it a little easier to pay off his new piece of jewlery. With September's Defensive Player of the Month award already under his belt, Miller will continue to turn heads during pregame warm-ups with another pair of custom cleats. 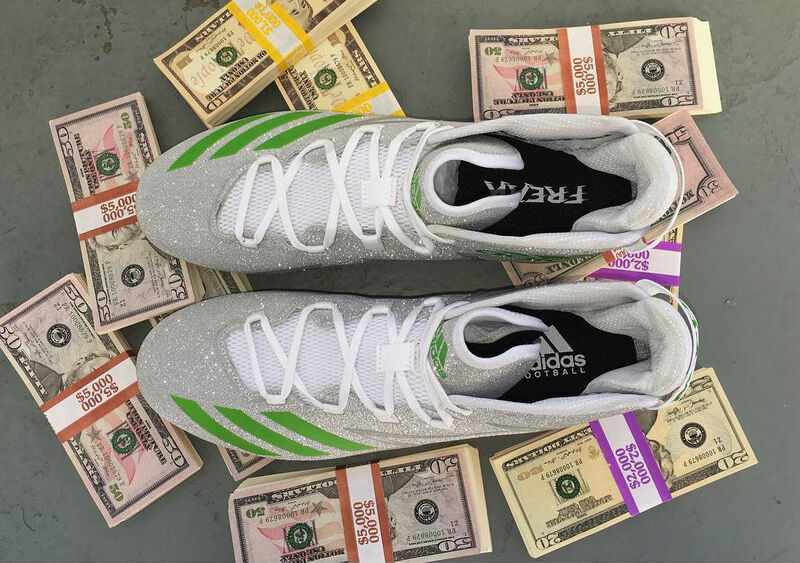 This time, customizer Charlie Kirihara covered adidas Freaks in crystals and details inspired by Miller's iced out ring. 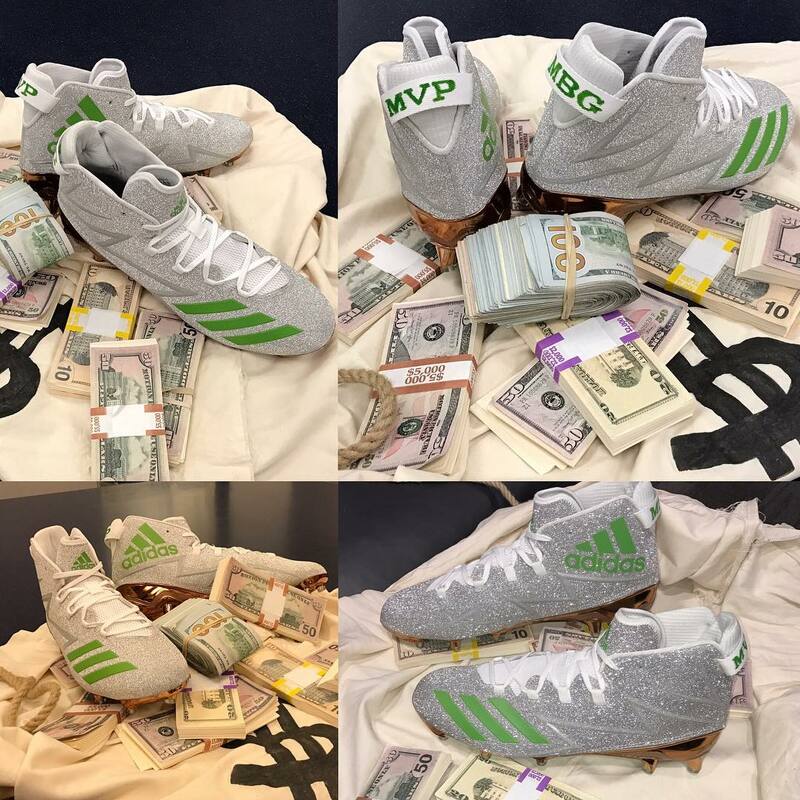 The "Money Bag Gang" cleats were presented to the game-breaking pass rusher today in an actual money bag. He confirmed that he'll lace them up ahead of the game against the Tampa Bay Buccaneers this Sunday.